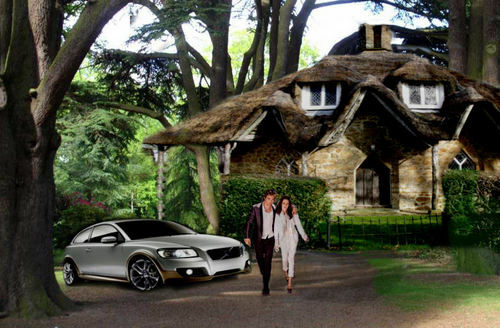 Bella and Edwards cottage Breaking Dawn peminat made. . HD Wallpaper and background images in the Siri-siri Twilight club tagged: twilight bella swan robert pattinson kristen stewart edward cullen. This Siri-siri Twilight photo might contain lychgate, lichgate, rumah tanah air, soddy, rumah adobe, sod house, adobe house, bumbung hip, bumbung keranjingan, hip roof, hipped roof, and bumbung hipped. you can barely see them!!!?? ?